My IPNC weekend of Pinot Noir is winding to a close. Linfield College’s grassy campus in McMinnville, Oregon has absorbed countless gallons of spilt and spit Pinot. After an afternoon exploring Champagne barrels at Claude Giraud’s seminar, I trundle off to IPNC’s alfresco rosé tasting. Vendors from Oregon and beyond try to keep their delicate pink wines cold. 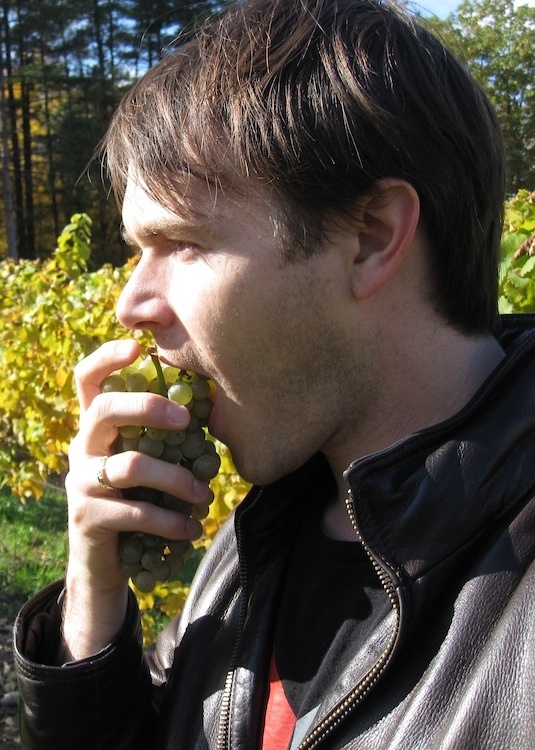 Charles Audoin pours the tidiest, driest, mineral, and most pale pinky of the bunch. It hails from Marsannay in Burgundy. Leave it to Burgundy to get a Pinot Noir rosé right. Wish we saw more of these, but the French drink most of it. Their Dunkleweisen is delightful relief from this endless Pinot purgatory parade. Just when I could use a nap, another Pinot Noir alfresco tasting opens in the fraternity quad. I hydrate myself and ready my liver for another power tasting. Yesterday’s alfresco fest focused on 2013 Pinot. Today, we try 2014. Tables line and cluster throughout the quad. I love the chunky, tannic, meaty and flinty Nuits-Saint-Georges 1er Cru En Rue de Chaux by Bertrand Ambroise. For silk, Halliday’s Coldstream Hills Hazeldene vineyard, Yarra Valley Australia 2015 is uncomplicated, smooth, brightened cherry, clove, and vanilla ease. Another gem was Flowers’ palest of pale Pinot Noir rosé from Sonoma. It simply pleased me to no end with its easy, dry, but strawberried profile. For the sake of something interesting, I enjoyed Foris’s Pinot Noir from Cedar Ranch, in the Rogue Valley in Southern Oregon. Not much Pinot can handle the heat of Southern Oregon. But this comes with more coastal influence being further West. A green, peppery element gives character to tart black cherry fruit and tobacco. Not shabby. After trying a slew of other Pinots the world over (Panther Creek showed class), I meet up with coworker compatriots and trundle into line for IPNC’s coup de grace, The Salmon Bake. I hope to post this Thursday, stayed tuned. This entry was posted in Uncategorized and tagged Beer, France, wine. Bookmark the permalink.